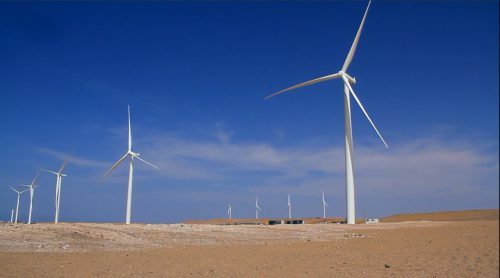 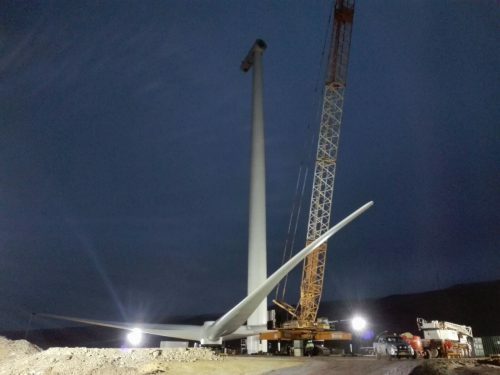 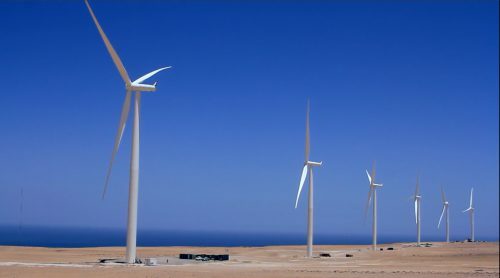 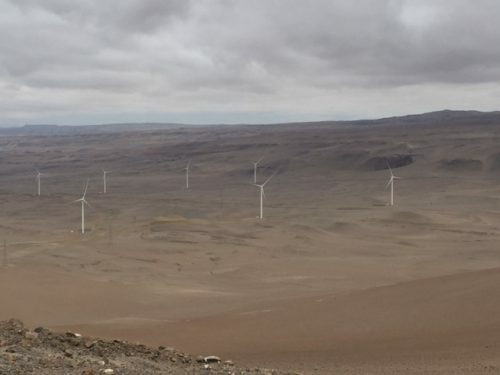 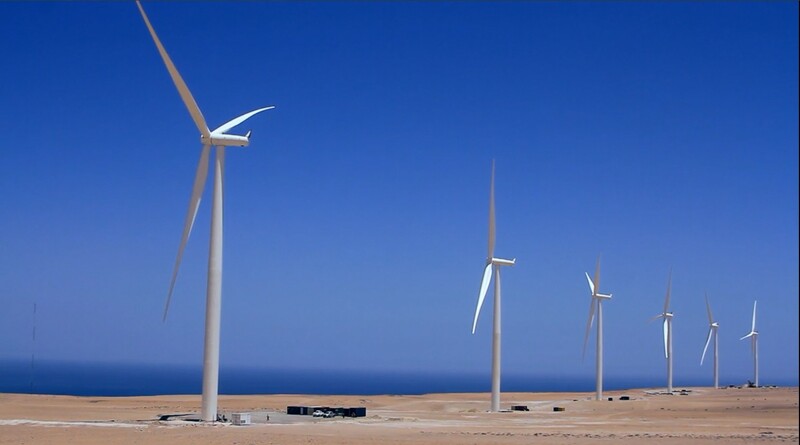 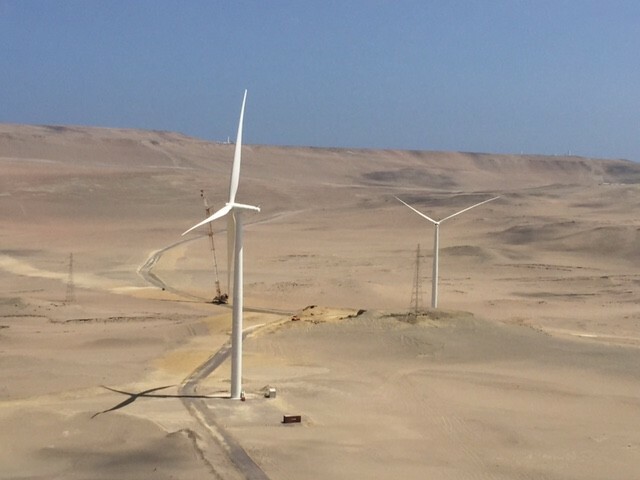 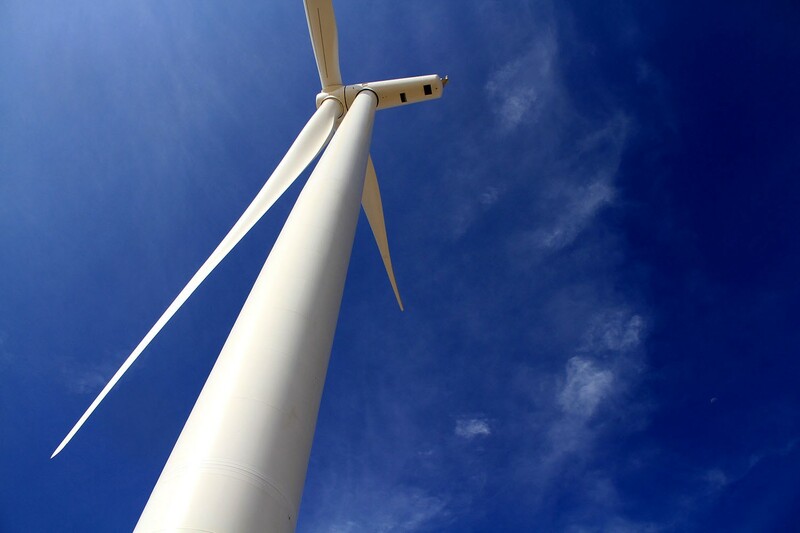 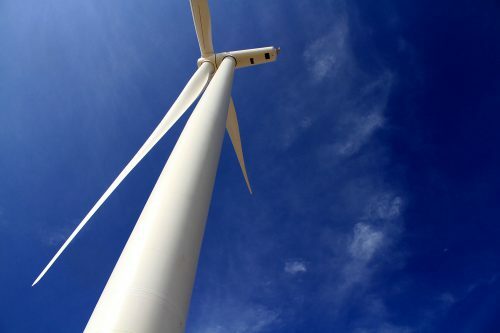 Engineering, procurement, construction, testing and commissioning of a 97.15 MW wind farm, located near the town of Marcona, Department of Ica, Peru. 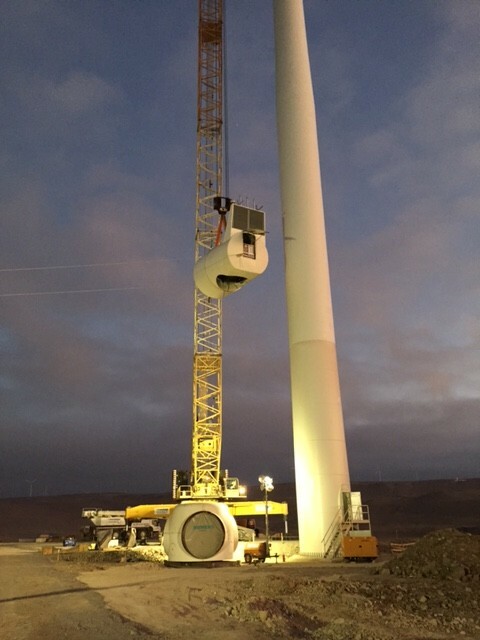 •	The supply and installation of twenty-five Siemens model SWT108 3.15 MW wind turbines and eight Siemens model SWT 108 2.3 MW wind turbines, and corresponding transformation centers. 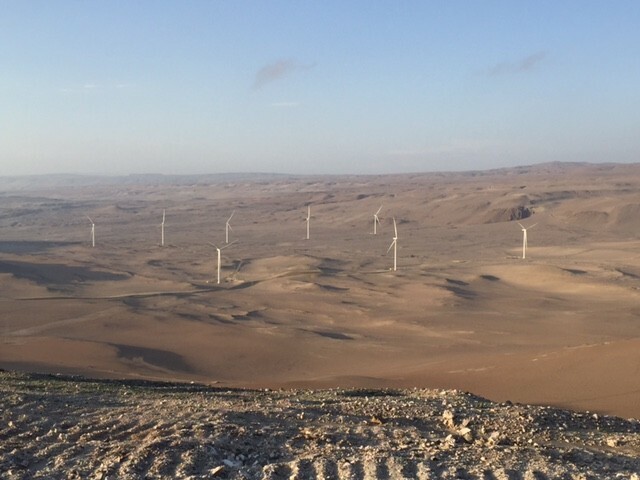 •	The construction of access roads and interior roads. •	Wind turbine assembly platforms and foundations. •	Cable trenches, 34.5 KV underground power evacuation lines and fiber optic cable communication with the transformer substation. 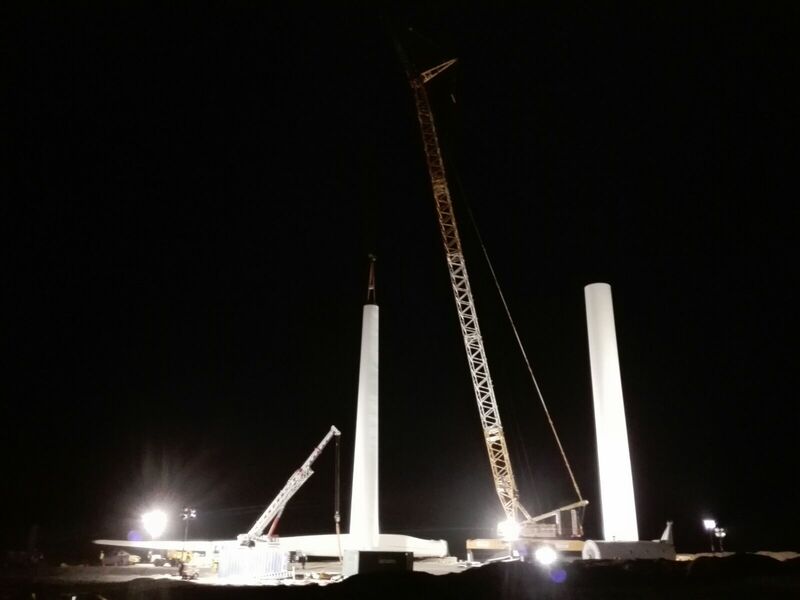 •	Amplification of the park's step-up transformer substation to 220 KV.